Sensitivity is essential when dealing with patients' and doctors' beliefs, writes MDU medico-legal adviser Dr Sally Barnard. A 25-year-old patient requested the termination of her pregnancy. The GP explained he did not agree with abortions, but the patient could make an appointment with another doctor at the practice who would be able to discuss the matter. The GP also handed the patient a leaflet from a pro-life organisation. The patient later complained to the practice about the contents of the leaflet. The GP apologised for the offence caused to the patient and explained that he would no longer hand out the leaflet to patients requesting an abortion. In most consultations, the personal beliefs of the doctor or patient are simply not relevant to the patient's care and treatment. However, there have been cases where patients have complained that a discussion about personal beliefs has caused them embarrassment or distress, or they felt they were being denied access to treatment because of a doctor's moral objection. We all have deeply held principles that influence the choices we make, and GPs are no exception. There is no reason why your religion or values should not inform your practice, but it goes without saying that your personal beliefs might not be shared by patients and vice versa. The case study above is a fictitious example of such a scenario, based on cases reported by MDU members. 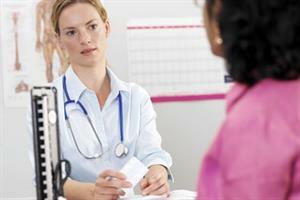 Newly issued guidance from the GMC, Personal beliefs and medical practice (2013), sets out how doctors' personal beliefs and the principles of good medical practice can coexist. When discussing treatment options with a patient, it might be appropriate to ask them about their personal beliefs, but the GMC is clear that the subject should be approached with tact and 'you must not put the patient under pressure to discuss or justify their beliefs, or the absence of them'. Even if you find the patient's views difficult to understand, they are entitled to be dealt with in a respectful and considerate way. The GMC says you may opt out of providing a particular procedure because of your personal beliefs and values, as long as this does not discriminate against individual patients or groups of patients. Be open and honest with patients, partners, employers and colleagues about any services you would not normally provide because of a conscientious objection. It is better that patients know in advance, rather than subjecting them to unnecessary embarrassment and distress. Discuss the matter with your practice manager or senior partner at the first opportunity, so this can be made clear in practice communications and alternative arrangements can be made. Despite such precautions, you may still see patients who request treatment to which you conscientiously object, such as emergency contraception or an abortion. In this situation, the GMC expects you to explain that you do not provide the particular treatment, being careful not to imply you are making any judgment. The patient should be told they have a right to speak to another doctor who can advise them about their condition and the options open to them. You should ensure that they know how to arrange this or, if this is not practical, make these arrangements yourself. 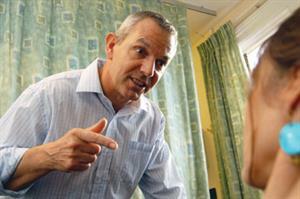 You must not obstruct the patient from accessing services or leave them with nowhere to turn. Personal or cultural beliefs may lead people to request procedures which have no immediate or obvious therapeutic benefit. One example is parents who want their son to be circumcised. As usual, you should explain the benefits, risks and possible side-effects of the procedure in order to obtain valid consent from the child (if they have the necessary maturity) or authority from the parents. In the event of a disagreement between the parents which cannot be resolved, the GMC says: 'You should inform them that you cannot provide the service unless you have authorisation from the court,' and suggest they seek legal advice about this. You also need to assess whether the procedure is in the best interests of the child (or 'of overall benefit' to an adult patient). In doing this, the GMC also expects you to take into account the cultural, religious or other beliefs and values of the patient or their parents. You are not obliged to agree to the treatment, but if you do not believe a particular treatment is appropriate, you should explain to those concerned and make clear that they can seek a second opinion. Where you have a conscientious objection to a procedure, patients and their carers still have a right to information about their options.